After trading in a quiet manner for a couple of days, EUR staged a relatively robust advance and touched a 2-week high of 1.1275. The price action is in line with our expectation wherein last Tuesday’s (02 Apr) low of 1.1181 is a short-term bottom and EUR has moved into a ‘corrective recovery’ phase and is expected to “trade with an upside bias” towards 1.1300 (see update from last Thursday, 04 Apr, spot at 1.1245). As highlighted, it is premature to expect a sustained up-move. Despite the relatively strong rise yesterday, the prospect for EUR to move to the next resistance at 1.1330 has not improved by much. All in, EUR is expected to remain underpinned as long as it does not move back below 1.1200. GBP/USD: GBP is expected to trade sideways within a broad range. No change in view from yesterday, see reproduced update below. GBP touched a high of 1.3196 last Wednesday (03 Apr) but dropped sharply on Thursday and Friday. While the breach of 1.3000 last Friday (low of 1.2987) has increased the risk of a move below last month’s 1.2945 low, the prospect for a sustained decline below this level is not high (there is another strong support at 1.2900). All in, there is no clear direction for GBP and we continue to hold the view that it is trading sideways, albeit likely at a broader range of 1.2900/1.3200 (adjusted from 1.3020/1.3270 previously). AUD/USD: No clear direction, AUD is expected to trade sideways. No change in view from yesterday, see reproduced update below. 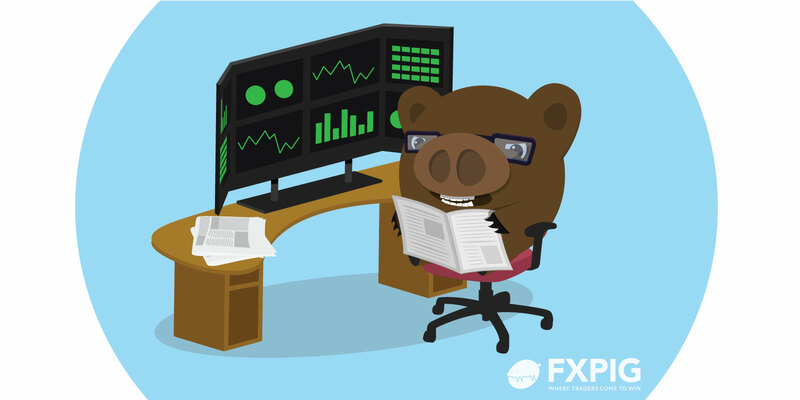 There is really not much to add as AUD traded in a quiet manner last Friday before ending the day little changed at 0.7106 (-0.09%). We continue to continue to hold the same view as highlighted two Mondays ago (25 Mar, spot at 0.7080) wherein there is “no clear direction” and AUD is expected to trade sideways between 0.7040 and 0.7190. Most indicators are ‘neutral’ and at this stage, there is no ‘early’ indication that AUD is ready to embark on a sustained directional move anytime soon. NZD/USD: Prospect for a sustained drop below the 0.6700/20 support zone is not high. No change in view . We have held the same view since last Wednesday (03 Apr, spot at 0.6750) wherein while NZD is still weak, the “prospect for a sustained drop below the 0.6700/20 support zone is not high”. NZD subsequently dropped to 0.6719 last Friday (05 Apr) before ending the day on a weak note (NY close of 0.6734, -0.28%). While downward momentum has clearly improved, we continue to see low odds for NZD breaking below the strong support zone mentioned above. However, in the event of a NY closing below 0.6700, it would indicate NZD is ready to tackle the next support at 0.6655. On the upside, only a break of the 0.6785 ‘key resistance’ (level previously at 0.6820) would indicate that the current downward pressure has eased.